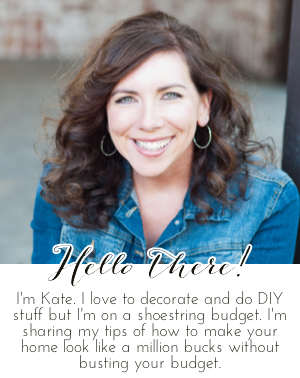 Chic on a Shoestring Decorating: Flaunt it Friday 160! Hey there! Hope you all had a wonderful 4th of July. Can you believe it's here and gone already, always feels like the halfway point of summer to me.... man, it goes too fast. 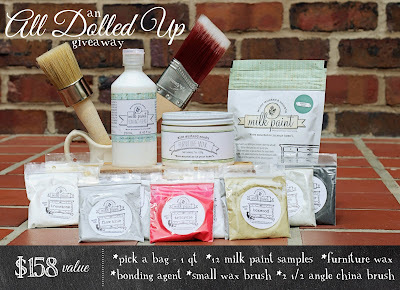 My longtime blogging friend Abbe of All Dolled Up has become the National Primary Educator for Miss Mustard Seed’s Milk Paint. Yes, super awesome furniture painter extroidanaire and painting teacher. I am so proud of her, she is so deserving of this and is perfect for the job. She is having a super awesome giveaway of Miss Mustard Seed Milk Paint and products. Enter here at her new website All Dolled Up. 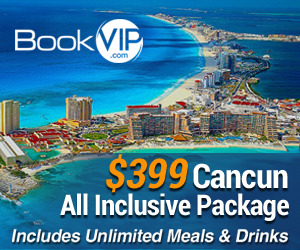 Stay tuned for another giveaway from Abbe here for my readers only. Sounds like a good reason to party! Hi Kate! Thanks again for hosting! Hope you had a fabulous 4th!! Enjoy your weekend! Thanks for the awesome party, Kate! Have a great holiday weekend! Thanks for hosting, I love your site!